National Artist Teacher Fellows and performing and visual arts students from schools across the country work together across disciplines to present a special concert. The NAECC Concert will empower artists, students, schools, and communities through artistic and academic innovation and will showcase the talent of an exciting new generation of young performers. 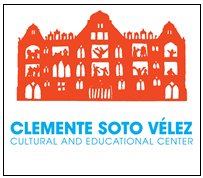 The Clemente Soto Velez Cultural and Educational Center is proud to announce the presentation of the National Arts Education Collaborative Concert Thursday, May 28 and Friday, May 29, 2015. The NAECC, a pioneering arts education initiative in NYC, features the collaboration of professional artists and performing and visual arts students from Dr. Sun Yat Middle School 131, New York, NY; the School for Creative and Performing Arts, Cincinnati, OH; CREC Greater Hartford Academy of the Arts Middle School, Hartford, CT, and members of the Ruth Eckerd Hall Center Stage Choir, Clearwater, FL. Highlights of the collaborative concert will be original works created by noted National Artist Teacher Fellows and administrators including Resolve, choreographed by Margaret Elaine Plaza, an Afro-Cuban sacred modern dance that depicts the resilience of African slaves created from her experiences studying dance in Havana, Cuba, original jazz compositions written and conducted by Dr. Isidore Rudnick, a choral composition written in Rome by Kathleen Bawel, choreographed by Dr. Sun Yat Sen MS 131 Repertory Dance Ensemble, and poetry written by Pamela Nomura, sung by the CREC Greater Hartford Academy of the Arts Middle School Choir conducted by Theresa Rice. The concert will also feature art work by Dr. Sun Yat Sen MS 131 and School for the Creative & Performing Arts, curated by Jean Rho, Visual Artist and MS 131 Art Educator, choreography by teaching artists Zachary Cruz of Abrons Arts Center, and Ness Martinez and Wendell Bullen of The Door, and guest dancers from Omega Dance Company. “The National Artist Teacher Fellowship Program offers arts educators from public arts high schools and Title 1 middle and high schools the opportunity to immerse themselves in their own creative work, interact with other professional artists, and stay current with new practices,” says co-producer Margaret Elaine Plaza. “Being able to participate in a collaborative production at this high level is likewise a transformative experience for all of our beautiful, gracious, and gifted students!" For more information about the NAECC Concert, please visit: nationalartseducationcollaborativeconcert.org.